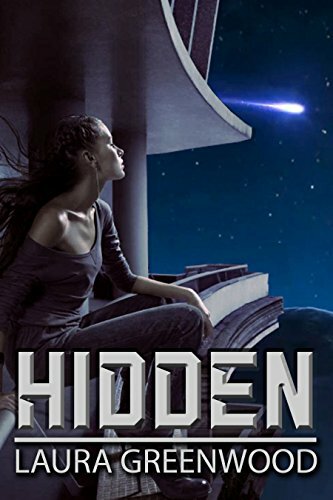 How I found this book: I participated in a Facebook giveaway event, where I offered to read and review a speculative fiction novel on my blog as a prize. Damon L. Wakes was the runner up. In ancient days when the island was new, the three elements–Mountain, Sun and Moon–came to threaten Man. One by one, the hero SutaKe challenged these great figures, and with his cunning conquered them. The island now is ruled by Man alone, and SutaKe’s legend lives on through the ages. But when a foreign merchant brings a new element–Steel–to the shores of the island, legends alone are not enough to resist it. A young slave, ParuMe, seizes the chance to claim an ancient power, and with it his freedom. However, this power comes at a terrible price: it threatens everything he had hoped to gain. What’s not in the blurb: Well, it’s kinda in the blurb, but I thought this story was very unique as it mixes ancient times with magic. So many fantasy novels take place in what seems like the middle ages, and this is the first I’ve read that takes it further back in time. As I writer, what I really enjoyed and appreciated: I loved how the author created a world of characters with naming conventions to reflect their title. For Example: The character name ParuMe. The “Me” at the end refers to him being a slave. If the last letters were “Ke” we’d know his title was a King. I just felt this was clever. I also admired the author’s world building and the description he uses to describe his world. Not overly done, but just the right amount to take you into the past without slowing down the story’s pacing. Who’d enjoy this book: Readers of historical fantasy. My overall impression: Ever read a book and wonder how the author came up with all the stuff written on the pages? Well, this was one of those books for me. Maybe it’s because I don’t usually read historical fantasy, or perhaps it’s just because the author has a extra-imaginative mind. If you want to be carried away into the past with warriors and warlocks, this is the book for you. About the author: Damon L. Wakes is an MA student at the University of Winchester, and writes just about anything that springs to mind. Though he does produce novels, he has had greater success with his short stories, a handful of which have made it into print. As well as promoting his own books, he hopes to share the work of others who are under-read, under-appreciated, or just plain awesome. Ten Little Astronauts This is a crowdfunding project. For more info, check out this video. Pledging to support Ten Little Astronauts is more than just buying a book: it’s an opportunity to bring that book into the world. The novella is already written, but it needs your help to make it into print. Of course, there are also rewards for supporters, ranging from digital copies of the book all the way up to limited edition prints of the cover art. And as every pledge helps Ten Little Astronauts towards its goal, the names of all supporters will be included in every edition of the book. My disclosure: I hate star ratings. Honestly, I think these are so subjective and sometimes reflect the reader more than they do the book. Because this is my blog, and I can do anything I want, I’m not using them. I think ANYBODY who puts the time, effort, and dedication to write and publish an entire novel deserves a big KUDOS. As I’m looking to grow my audience reach, I’m excited to be participating in a few multi-author projects. 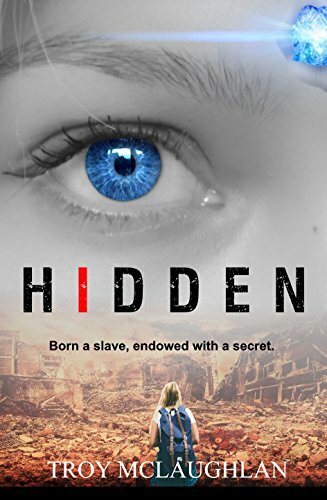 A group of at least fifteen authors have come together to write a story with the title of “Hidden.” Each of us has selected a week to release our project beginning October 26th. This is a great way to cross promote and keep our books visible long after falling off the Amazon 30 day new release list. 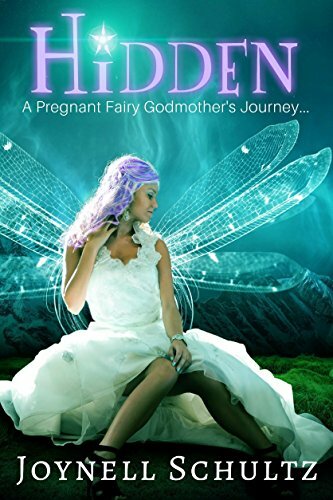 I wrote my first draft of my story, Hidden: A Pregnant Fairy Godmother’s Journey during the April Camp NaNoWriMo. Now, I finalized my cover, and I wanted to share it. I made it myself. (I just discovered Paint.net, and I LOVE it!) My first draft of my blurb is also posted below. Even being the best fairy godmother in all the land, Ciera’s been hiding a secret. Not only is she pregnant, but she’s pregnant from a human. 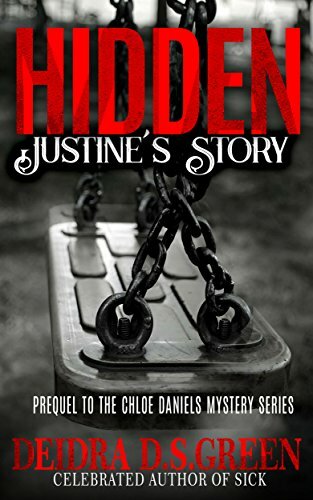 Instead of finding John, she runs into a thief who’s hiding a secret of his own. Can the two team up to solve each other’s problems, no matter how crazy they may be? The other projects I’m working on are two anthologies. One is a cozy supernatural Halloween project and the other is a Twelve Days of Christmas anthology. Both projects will have a group of authors published in a single book. Each with a separate story that fits the theme. This should be a lot less work than the Hidden project, as I plan to write 5000 word stories for both. The Halloween Anthology will take place in my Superhero World…and will feature a Witch. I believe the book will be titled, Witch or Treat. The Twelve Days of Christmas Anthology will feature twelve authors, each taking a day from the classic song. My story will be titled Three Calling Birds and is completely undeveloped at this point. I’m excited about the possibility of gaining new readers from my stories in these anthologies. I can’t wait for these projects to come to a close so I can share my results with you. Have you participated in multi author writing projects? I’d love to hear how they went. Nyx Estrella is a princess from Gexalatia, a world on the other side of a portal. Unfortunately, she has no idea. Sent to Lucky, Texas, when she was a baby to protect her from the evil King Paraximus, her biggest concerns are grades and seeing her friends. She has no idea that she possesses magical abilities and that her reality is about to become really strange. Jet Lamia is a war prisoner, sent from Gexalatia by the queen, Liana Estrella, to bring Nyx back home to the kingdom of Ymber. The portal only opens on the winter solstice, so Jet finds himself trapped on Earth, trying to blend in. Fortunately, he has help in the form of the queen’s chosen assistant, Seth Alvar. But playing well with others has never been one of Jet’s talents. It is a race against the clock to tell Nyx her true identity and try to train her, while also keeping her alive. Nyx and Jet struggle to defeat the assassins sent to kill them both, while trying not to kill each other. Can this duo put their differences aside and return to Gexalatia? 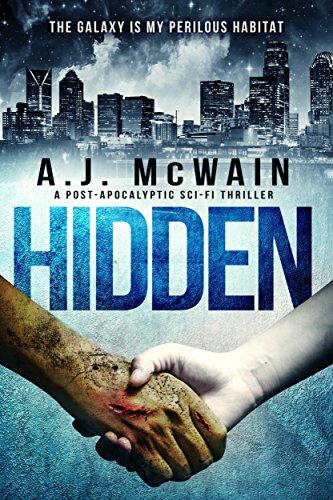 What’s not in the blurb: I didn’t expect the suspense (maybe even a touch of horror, at times) in this story…both of which are not my usual genre, but I LOVED IT! As I writer, what I really enjoyed and appreciated: Holy cow did the tension between the character’s get to me. I found myself turning pages to find out how their relationship would grow, taking mental notes how I could use the author’s techniques in my own writing. Who’d enjoy this book: Lovers of contemporary fantasy who enjoy a little suspense and romance thrown in. This book is listed in the Young Adult category, but I found it more New Adult, appealing to a wider audience. My overall impression: Once I got into the book, I couldn’t put it down! I seriously loved the characters and can’t wait to read more. 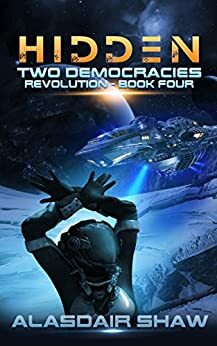 Once book two is published, I’ll definitely be getting myself a copy to continue the journey of Nyx and Jet. This book had the right mix of suspense, fantasy, and a little romantic tension. Perfect! About the author: E. Paige Burks, budding author of The Heart of the Guardian, is a graduate from Texas A&M University with a degree in Agricultural Communication and Journalism. Her book, Return to Royalty, won the 2016 Author U Draft to Dream Award in the Young Adult category and has been nominated for USA Best Book Awards and International Book Awards. When she is not writing fantasy and love stories, she enjoys Mexican food, singing out loud, cuddling with her cats, and taking long naps. E. Paige Burks lives in Houston, Texas with her husband, four dogs, three cats, three horses, and a single bird named Ricki. My disclosure: I hate star ratings. Honestly, I think these are so subjective and sometimes reflect the reader more than they do the book. Because this is my blog, and I can do anything I want, I’m not using them. I think ANYBODY who puts the time, effort, and dedication to write and publish an entire novel deserves 5 stars anyway. Also, when I read indie authors, I realize they operate on a shoestring (non-existent) budget and don’t have a team of college educated professionals helping them fine tune their novels. How I found this book: I participated in a Facebook giveaway event, where I offered to read and review a speculative fiction novel on my blog as a prize. Conda V. Douglas was that lucky winner. What’s not in the blurb: Besides being about Swoop the fairy, it’s also alternates perspectives with a teenage human named Grace who is torn between her love for her grandmother and starting a new life for herself. As I writer, what I really enjoyed and appreciated: I really appreciated the quirky names the fairies were given (with such a large cast of characters, it was great they had names that described their personality or physical attributes. Besides One-Wing and Swoop, the cast consisted of Shiver, Smoke, Buzz, Grey Wing, Jumper, and I could go on and on.) I also enjoyed the fairy society Conda V. Douglas created in the mall. The fairies had their own quirks, rules, fears, and pastimes that were specific to their species. Who’d enjoy this book: This book is listed in Amazon under “Children’s books”, but I feel it applies to a larger audience than that. I personally felt it would easily fit in the “Young Adult” category. Anyone who enjoys fairies and contemporary fantasy with a younger cast will enjoy this story. My overall impression: Mall Fairies: Exile was a fun read with an overarching theme of bonds with family / friends and facing your past. Told mostly from alternating perspectives between two teenagers (one being a fairy who lives in a mall and the other a girl who’s grandma owns a store in that mall) this engaging story was full of flawed characters who made bad decisions and their struggle to redeem themselves. They are filled with struggles many teenagers can relate too. It’s the great start to a series in an interesting world created by the author. About the author: Award winning author Conda grew up in the ski resort of SunValley, Idaho. Her childhood was filled with authors and artists and myriad other creative types. She grew up with goats in the kitchen, buffalo bones in the living room and rocks in the bathtub.Now her life is filled with her cat, dog, permanent boyfriend and writing. Conda adores writing the popular tween fantasy Mall Fairies series. The fairy inspiration for her Mall Fairies came from the sparrows that live in the Boise Towne Square Mall in Boise, Idaho. One day she saw the sparrows nesting high on a window ledge and thought, “What if those were fairies?” The Mall Fairies series bloomed into two novels, The Mall Fairies: Exile and The Mall Fairies: War, a short story A Foodie Fairy’s First Foray and a cookbook, The Mall Fairies Sweet Tooth Cookbook. When not rescuing fairies from humans, cats and themselves, Conda works on the last title in the Mall Fairy trilogy, The Mall Fairies: Destiny.